ReloPro Movers is an eminent moving company serving the area since a long time and offering full fledgedmoving services to the customers in order to make their move less chaotic and more enjoyable. The company is deliberately indulged in offering both residential and commercial move be it within or across the country. They offer best-suited services to both the residents and businesses of McKinney area. All the services of the company are low in rates, thus making it cheaper and affordable for you all to avail of their moving services and to make your move successful and hassle-free. 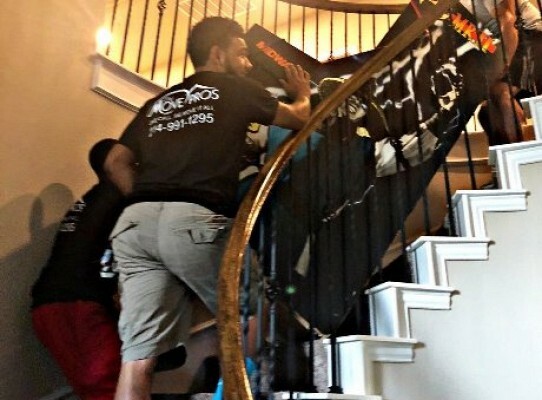 Along with this, the company has a talented team of movers who are highly qualified and trained in moving all your belongings with care and respect. They will pack, unpack, load and unload all your items with full efficiency and carefully, making sure that none of them get damaged during the relocation. The company and its movers truly believe in working with honesty and integrity and strive to perform each operation with full efficiency and hard work. ReloPro Movers holds specialization in moving office spaces and large houses to make your move stress free and successful one. With all the proficiency and hard work, the company has set the bar at a high level and is now considered to be the most preferred and reliable moving company of the area. All the reviews and ratings of the happy customers have always motivated them to work harder with each passing day. The company ReloPro Movers was established in 1990, with a clear aim of providing affordable and qualitative moving services to the residents in order to make their move a memorable one.The movers of the company work hard to meet the requirements of the residents and to offer them the services in both professional and friendly way. All the movers of the company are hired through a rigorous process and receive training in handling all your items carefully and to move you with ease. Over the years, the company has made many moves successful and also has ample no. of satisfied customers with them. And, currently known for its efficient and enormously good moving services.